It’s been almost two months since I started shooting with my new Fujifilm camera system. At this point, I am ready to give you my reasons for the switch and my initial feedback.. I must first admit that the Fujifilm was not what I expected at all. It actually turned out to be entirely the opposite of my expectations. 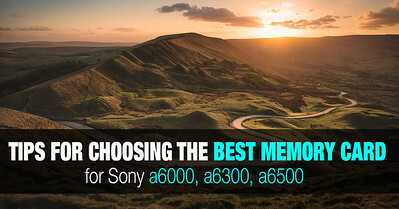 When I switched from Canon to Sony four years ago, I had a very different motivation. I was not only dissatisfied with Canon but with DSLR technology in general. I was eager to explore the mirrorless realm and did not have a particular brand in mind. The reason I picked Sony was because of the quality of digital files it produced compared to Canon. When you mature as a photographer, you develop a unique photography routine and habits. 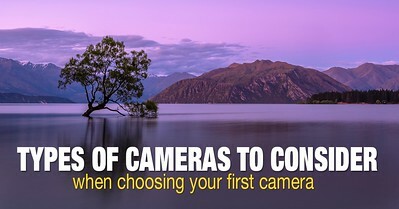 You know exactly what you want to see in a camera that is closely aligned with your photography workflow. With Sony, I felt that I could not customize my photo equipment how I wanted. I was hoping the combination of the streamlined Fuji menu system with the mechanical dials and customizable buttons would offer more flexibility. When I decided to switch to Fujifilm, I only considered the top of the line XT2 model, but I had difficulty finding reliable reviews. Why? The reason was because of Fuji’s unique approach to firmware updates. 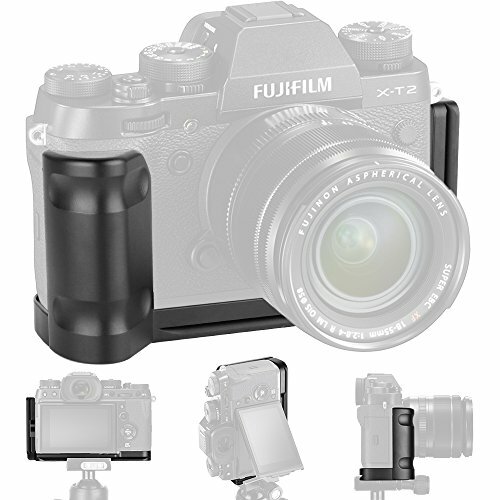 Since Fujifilm launched its XT2 model in August 2016, it has released three major firmware updates that extend the camera’s functionality by adding hundreds–that’s right, hundreds–of new and updated features. By the end of 2017, most of the initial XT2 reviews were outdated because, by then, it was a very different camera. I find Fuji’s approach to be unique and refreshing, which makes them more like a software startup rather than a consumer electronics company. It feels like a modern approach to photography when a company listens to users and makes improvements to existing cameras through software updates. I wanted to be part of that experience. I know plenty of fellow photographers who shoot with Fujifilm and love the Fujifilm experience. Sometimes, they praise Fuji so much that it feels like they are part of a cult like Scientology or CrossFit. I was curious to explore the cult-like experience from the inside. I was also intrigued to explore the completely different design of Fuji cameras with their various mechanical dials and gazillions of customizable buttons. Also, as a photographer and educator, I thought it would be good to learn another system so I can intelligently discuss it. For a long time, I wanted the ultimate travel camera setup. I craved for a combination of a compact weather sealed camera and lens. I was also looking for a modern dual memory card functionality that would give me a completely redundant backup workflow from start to finish. And, finally, I wanted my travel camera to have a reliable and straightforward GPS tagging functionality. I could not accomplish everything with Sony. I remember a few years ago when someone from a photo community predicted that Sony would not have the bandwidth to develop both full frame and APS-C systems simultaneously. This turned out to be true. Sony neglected the APS-C systems and concentrated all their efforts on full frame cameras and lenses. In four years, Sony has not created even one APS-C lens. When I switched from Canon to Sony, the most significant change that impacted my photography was the incredible dynamic range of the Sony sensors. It changed the way I shoot and edit photos. It made me use HDR even less. And, even when it was absolutely necessary to utilize HDR, I only needed three brackets. The time of taking five to seven bracketed shots was over. Since then, I always pay attention to the dynamic range of any camera that I evaluate and make it one of the most important paraments of my photography. The problem with Fuji is that it uses an X-Trans sensor and it seems that no one can accurately measure its dynamic range. This made it impossible for me to compare the dynamic range of the XT2 to my existing Sony before I made the switch. It worried me a bit because I did not want to sacrifice the dynamic range in my new camera. So, instead of switching right away, I decided to first test the Fuji. When a local fellow photographer was selling his practically new Fuji X-T2 body, I knew it was the perfect opportunity for me to compare it to Sony. I bought the camera and complemented it with the Fujinon 18-135mm lens. Over the next six weeks, I used both the Sony and Fuji systems side by side. Here is what I discovered. The dynamic range of the Fuji XT2 sensor is incredible. 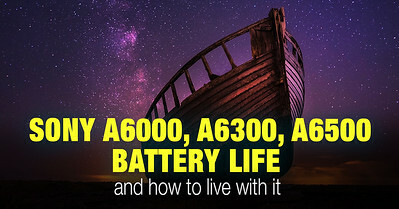 I cannot measure it precisely to give you the exact number of stops it covers but, based on my purely empirical experience, it is better than the Sony a6000, a6300, and a6500. In six weeks, I have not used HDR–not even when shooting directly into the sun. The amount of details I can recover in highlights and shadows is staggering. At this point, I have two lenses: Fujinon 10-24 and Fujinon 18-135. The combination of the Fuji XT2 and the 10-24 or 18-135 produces much cleaner and sharper images than the Sony a6000 or a65000 with a Sony 16-70 or Sony 10-18. The Fujifilm images are perfectly usable at 100% magnification. Unbelievable. It is a common knowledge that Fujinon lenses are good and I had a general idea what to expect. But, I want to concentrate on Fujinon 18-135 lens. 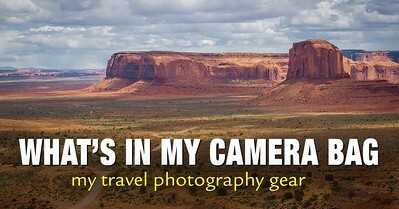 It is not the most popular Fuji lens, but I picked it as part of my ultimate travel photography setup. It is weather sealed, stabilized with a very useful focal length. I knew in advance that I could go on an extended trip with the only that lens. 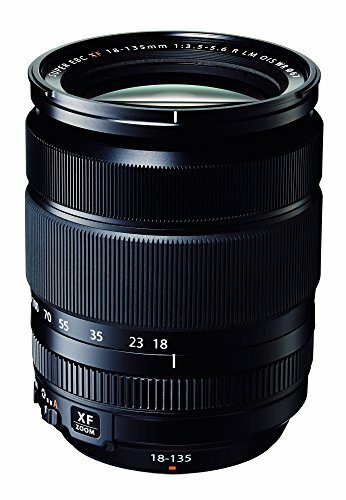 After using Fujinon exclusively for 2 weeks, I realized that pretty much all the Fujinon 18-135 reviews I read were inaccurate and misleading. Most of them concluded that it is a decent lens but you can not expect much from a super zoom lens. I do not agree with those conclusions. I find this lens to be outstanding. The image quality is excellent and when shooting at f/8 – f/11 I hardly can tell the difference between Fujinon 18-135 and everybody’s favorite ultra wide Fujinon 10-24. The Fujinon 18-135mm has the best Optical Stabilization I have ever experienced. I managed to shoot at focal length 135mm using shutter speed 1/10s and produce a perfectly sharp image. It is remarkable. The EVF is to die for. It is HUGE and bright. It contains an enormous amount of information, and you can customize it in any way you want. It already changed the way I take photos. I assigned the front function button to trigger Histogram display in EVF. With the latest firmware update, it displays a combined histogram plus three more versions for each color channel. Now when I am ready to shoot, I press AE-L button to lock the exposure, next I activate the histogram inside of the EVF, and finally, I tweak the exposure by adjusting the exposure compensation using Front Command Dial. And I always have four histograms in EVF to evaluate my adjustments. One of the shortcomings of the Fuji XT2 is considered to be not a stellar high ISO performance. But, once again I do not entirely agree with the conclusion. I guess if you compare XT2 ISO performance to a full frame sensor camera like Sony 7r it might be the case, but I find the ISO performance is excellent for the APS-C camera. I was surprised that at ISO 12800 images are still usable with plenty of details. The combination of excellent ISO performance with improved and extended Auto ISO functionality, allows me to shoot in the conditions I would never consider shooting before. The day I received the camera and the lens I went on a day-long trip to shoot winter landscapes. After shooting for 2 hours I realized that I had cramps in my fingers. Sony a6000 is a small camera, but it has a beefy, not very deep but pretty wide grip and I could comfortably carry the camera using my entire palm. But the Fuji XT2 is a bigger and heavier camera with the tiny grip and I always had to squeeze it with my fingers putting unnecessary strain on them. After 5 minutes of Googling, I realized the small grip was a common issue for may Fuji cameras. And of course, I found the solution fast. I ordered the thumb grip, and it almost fixed the problem. I also bought inexpensive L-Bracket with the metal grip. Now when I shoot handheld, I use thumb grip only, and when I am on a tripod I attach the L-Bracket Grip as well. But, I am still not entirely comfortable. I hope over time I will get used to it. I am a big Back Button user, and the AE-L and AF-L buttons are tiny, and it is hard to use them. I had to assign Rear Command Dial to lock the focus on a press down. It is not entirely comfortable. 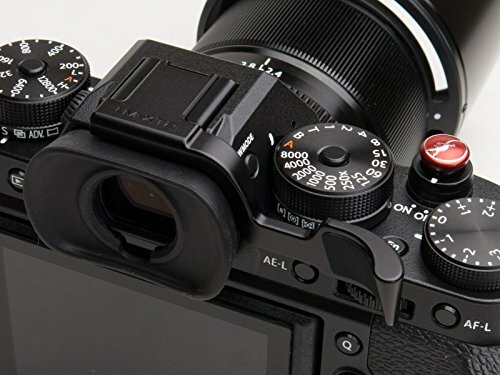 I like the Fuji XT2 design and mechanical dials, but I expected to have the ability to assign all mechanical dial functionalities to customizable function buttons. That is not the case. For example, I can use Front Command Dial to adjust exposure compensation by setting the mechanical dial to S option, and I like it a lot. But, I can not assign Drive selection to a custom function button or even Quick menu. The only way for me to change from single mode shooting to bracketing, which I do a lot, is to use mechanical subdial under ISO dial. I have to use my second hand to change it. Same goes for the Metering selection, you have to use mechanical dial and no function button or Quick Menu options. When shooting in Aperture Priority mode, the only way to change the aperture value is to use lens aperture ring. It is very comfortable when shooting handheld but when on a tripod, once again it requires a second hand. There is no way to change aperture using Rear Command dial. I find that one of the most useful custom configurations on any camera is the ability to save a group of custom settings and recall them with one click. I used it on Sony and Canon. I was excited about Fujifilm custom settings because I knew you could save up to 7 custom configurations, plus you could give each configuration a unique name. And it is easy to recall each saved configuration from Quick Menu. Dynamic Range, Film Simulation, Grain Effect, White Balance, Color Sharpness, Highlight Tone, and Noise Reduction. That’s is right, they all related to JPEG shooting. And since I only shoot RAW, the entire Custom Setting module is utterly useless to me. I find it to be one of the most surprising shortcomings of Fujifilm Xt2 functionality. As I mentioned before, the switch from Sony to Fujifilm tuned to be not what I expected at all. I got interested in Fujifilm because of the need for a better user experience and more advanced customization, but I stayed with it because of image quality, dynamic range, and stellar lenses. I do not complain and have no regrets. I’ve already sold all my Sony gear and I will definitely stick with Fujifilm for a year at least, but I suspect it to be longer. And I am having blast learning new camera system. Plus, Fujifilm keeps us on the toes with the constant firmware upgrades. Also, it proved again there is no such a thing as a perfect camera. I am wondering whether you considered the Olympus OMD EM1 Mk2? I did not. I wanted to stay in APS-C realm and I did not consider a full frame or a 4/3 cameras. Why not full frame? because of the weight? I need a compact setup. The size of Sony FE lenses is enormous. Sony FE lenses are outstanding on the Sony A6x00 series of cameras. They’re not oversized and they balance well enough on the smaller bodies. Not expected and counter-intuitive. The results for the different lenses on the FF & Crop sensor bodies are inconsistent except that the performance is not nearly as good on the crop sensor as it is on the FF bodies. Still, the Sony A6x00 are fine cameras. Enjoy you Fujis. Victor, please let me mention that if one reads only the headtitle to your article, they are inclined to believe that what is going to follow would be completely negative for Fujifilm cameras. But that’s not the case at all!!! What about the new XH1. Does that overcome the shortcomings you mention about the XT? It does not. The menu system is pretty standard on all Fuji cameras. Plus, I do not need a bigger body, I am still trying to get used to XT2 bigger body compared to Sony. Getting to this article in January 2019. I could not agree with you more about the 18-135mm. I read the reviews and was skeptical about picking it up, but I got it at such a super price brand new a number of years back that I could not pass it up. I was shocked at the sharpness of the shots on the XT1 and XT2 with this lens. Like you, I think it is the best image stabilized lens that I have come across. I own the Fuji 16mm 1.4 and the 23mm f2. I appreciate all three lenses and believe that the 16mm is the probably the best lens I have ever used. That being said, if I could keep just one of the lenses, it would be the 18-135 for all the photographic focal lengths that it gives and how it works so well.